A delicious tangy rendition of a favorite Asian sauce. 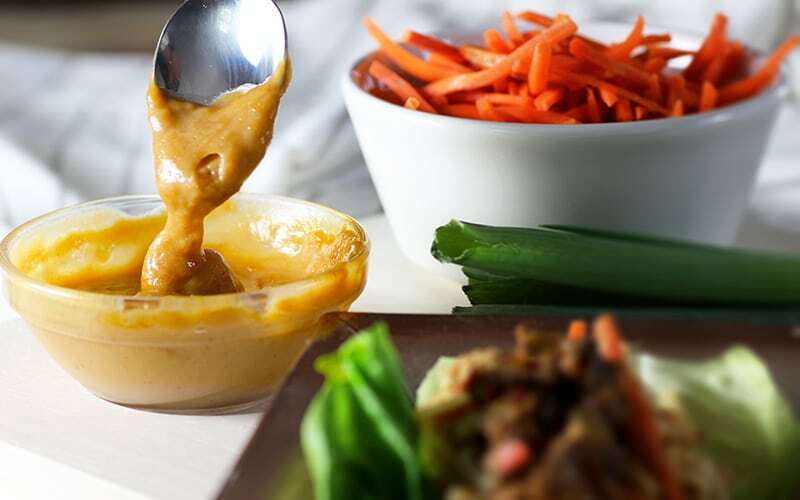 This peanut sauce Thai style is perfect served over stir-fry, as a dipping sauce, and more. Peanut sauce has to be one of my favorite sauces where Asian food is involved. A close second behind sweet chili sauce. It can be used on so many things that the meal possibilities you can make with it are pretty much endless. What Do You Use Peanut Sauce For? Peanut sauce is great served over pasta dishes as an alternative to traditional red sauce or alfredo sauce. Whether it is a veggie stir fry or one that contains meat, peanut sauce is a perfect sauce to be infused into a stir-fry for an Asian flare. It coats noodles perfectly and is so good you won't want to leave one drip on your chin. Spring rolls are delicious and really the only thing that can make them better is dipping them in a creamy peanut sauce. This sauce is perfect to be used as a dip. Grilled meat and skewers can be drizzled with peanut sauce as a tasty addition and served on top of rice. Mix with soy sauce and use to marinate meat prior to cooking for a tasty variation for almost any meat. Served as is or mixed with apple cider vinegar to make a tasty, tangy salad dressing. How To Add Spice to Peanut Sauce? Red pepper flakes can be added to the recipe to turn up the heat if you prefer a spicier version. I would urge you to start with a little and add in more until the desired amount of heat is reached. 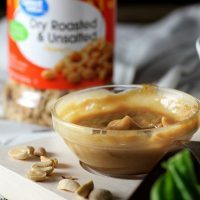 How to Store Peanut Sauce? 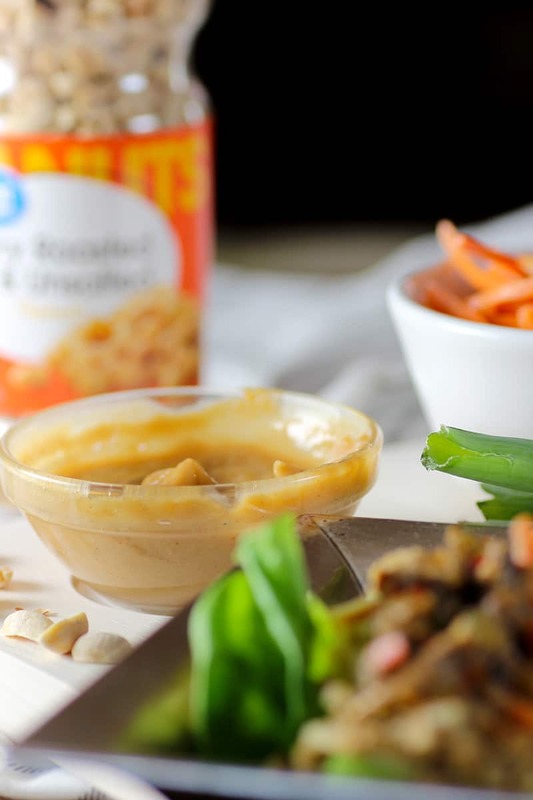 Peanut Sauce can be stored in your refrigerator like other sauces. Just put in an airtight container and it should keep pretty well. It may thicken up from being in the fridge. It can be nuked in the microwave for a few seconds to make it thin out and gain its creamy texture back. How Long Will Peanut Sauce Keep In The Fridge? This sauce will keep in the fridge for a couple months. But it's so darn good it would never last that long! ???? How To Make Peanut Sauce? A delicious tangy rendition of a favorite Asian sauce. This Thai peanut sauce is perfect served over stir-fry, as a dipping sauce, and more. Combine all ingredient in a blender or Ninja Bullet. Blend until texture is smooth. adjust the water amount to change the consistency of the sauce. Interested in making your own peanut sauce? Go ahead and pin to your favorite board and even share with friends using the buttons below.